Please buy a copy of my new book ‘Law and Peace’! 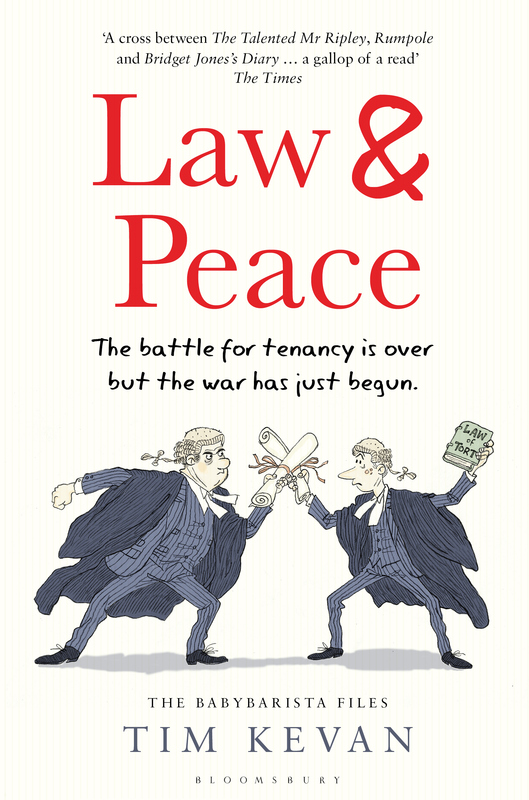 My new novel Law and Peace has just been published by Bloomsbury. It’s a legal comedy based on this blog and is the second instalment of the BabyBarista Files, the first being Law and Disorder which was described by broadcaster Jeremy Vine as “a wonderful, racing read – well-drawn, smartly plotted and laugh out loud” and by The Times as “a cross between The Talented Mr Ripley, Rumpole and Bridget Jones’s Diary”. It is available at amazon.co.uk. There is an official launch party for the book on Wednesday 11th May at the Old Bank of England Pub at 194 Fleet Street, London EC4 from 6-10pm. It’s organised by Hammicks Legal Bookshop open to everyone and there’s no need to reply but it’d be great to see you and any friends you’d like to bring along. Judging by the last launch, it promises to be a good party. More details are here. Signed copies of the book will also be available both at the party and then from 12th May at Hammicks on Fleet Street and the Fleet Street, High Holborn and Ludgate Circus branches of Waterstones. A request: please help spread the word and forward this on either by email or by clicking the Twitter or Facebook icons below.